Seminary Votes To Fire Paige Patterson After Ousting Him As President : The Two-Way The Southwestern Baptist Theological Seminary, which made Patterson "president emeritus" last week, said it had received new information about his handling of a sexual abuse claim against a student. Paige Patterson makes his opening speech to the Southern Baptist Convention in June 1999 at the Georgia Dome in Atlanta. In a statement on Wednesday, however, the board said it had received "new information" regarding the handling of an allegation of sexual abuse against a student during Patterson's previous tenure as president of the Southeastern Baptist Theological Seminary in Wake Forest, N.C.
"Deeming the information demanded immediate action and could not be deferred to a regular meeting of the Board, based on the details presented, the Executive Committee unanimously resolved to terminate Dr. Paige Patterson, effective immediately, removing all the benefits, rights and privileges provided by the May 22-23 board meeting, including the title of President Emeritus, the invitation to reside at the Baptist Heritage Center as theologian-in-residence and ongoing compensation," the statement said. "Further, the Seminary stands against all forms of abuse and grieves for individuals wounded by abuse. Today, [interim President] Dr. [Jeffrey] Bingham made it clear that SWBTS denounces all abusive behavior, any behavior that enables abuse, any failure to protect the abused and any failure to safeguard those who are vulnerable to abuse," the statement said. Bingham also called on the seminary's community "to join the Body of Christ in praying for healing for all individuals affected by abuse," it said. "Patterson has been on the defensive since allegations surfaced that he once counseled women who suffered marital abuse to pray for their husbands. The Washington Post ... also reported an incident in which Patterson allegedly told a woman who said she had been raped to forgive her assailant rather than report the crime to the police. ... 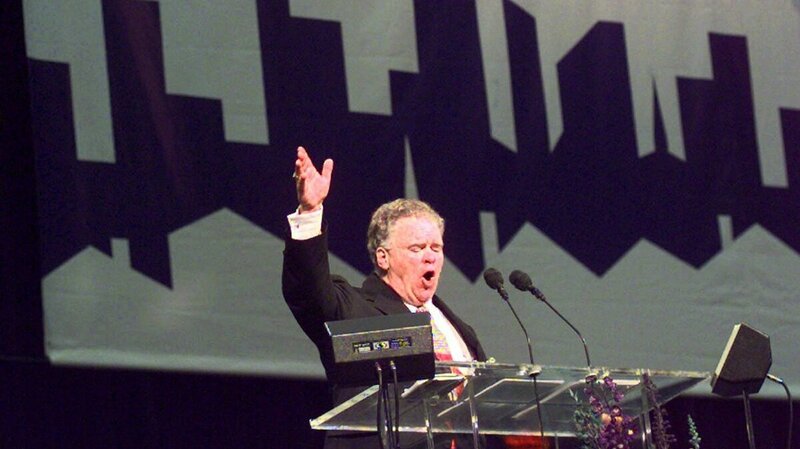 The decision to remove Patterson, 75, came after an open letter signed by more than 2,000 Southern Baptist women expressed shock over [his] statements and warned Southern Baptist Convention leaders not to allow 'the biblical view of leadership to be misused in such a way that a leader with an unbiblical view of authority, womanhood, and sexuality be allowed to continue in leadership.'"